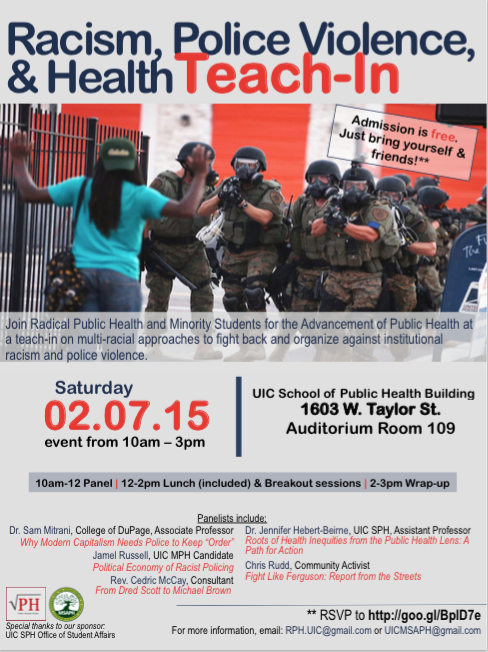 May 2, 9 to 1 pm – Student-Led Discipline Conference at Malcolm X College, 1900 W. Van Buren. (Free garage parking available) – Register HERE. 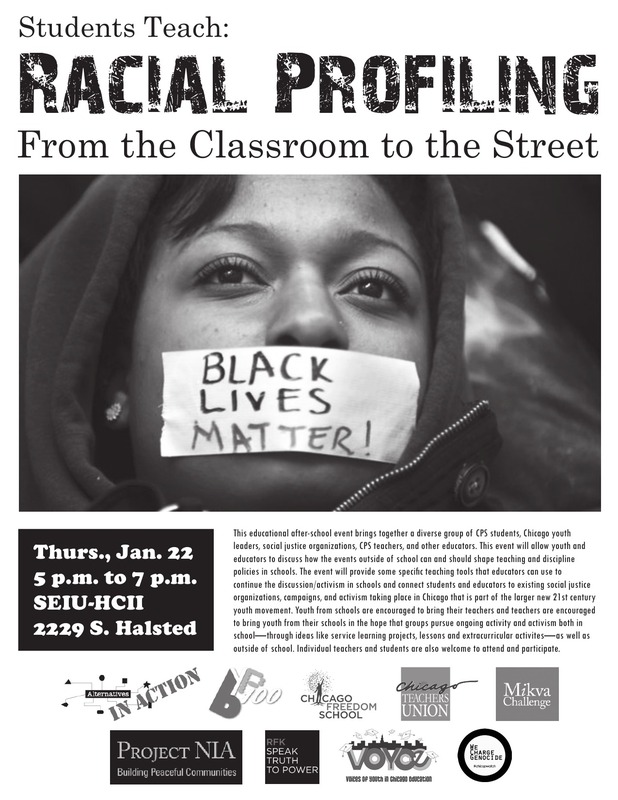 This is an opportunity for students to share their perspectives on discipline and restorative practices, and to collaborate with community members and CPS on solutions for making our school discipline systems more effective and fair. FREE breakfast, lunch, giveaways, and raffle prizes! Emory Douglas in conversation with local artists and activists about arts, resistance and revolution. With Cairá Lee Conner from We Charge Genocide’s Radical Education Project, and James T. Green, 2014-15 Arts + Public LIfe/CSRPC Artist-in-Residence. Co-presented by CSRPC with The Black Death Project, a Mellon Collaborative Fellowship at the Gray Center for Arts and Inquiry. 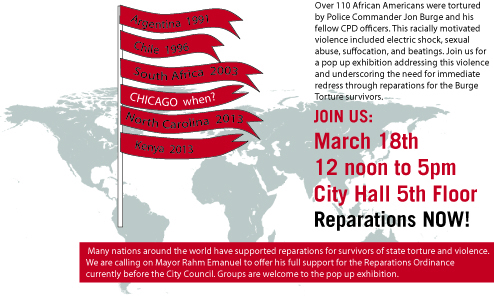 Come to City Hall on Wednesday, May 6th, at 10am, when the City Council votes on the reparations legislation. 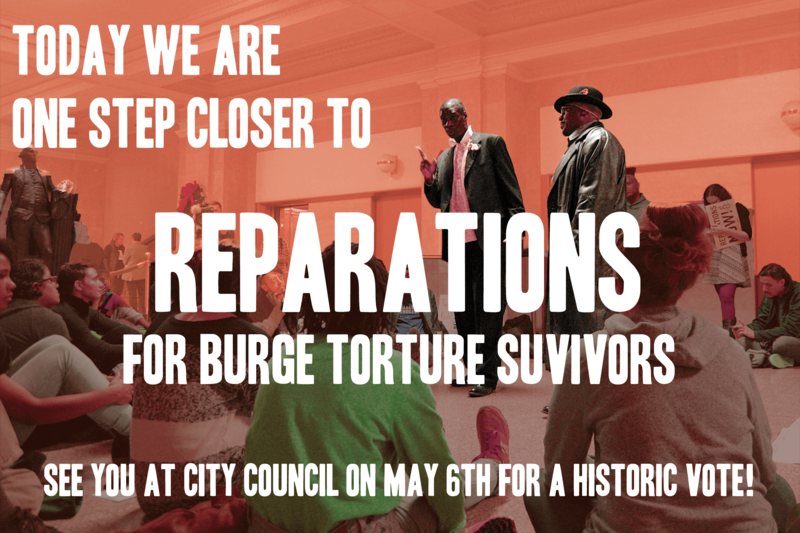 We need your help to pack City Hall and stand in solidarity with Burge torture survivors. 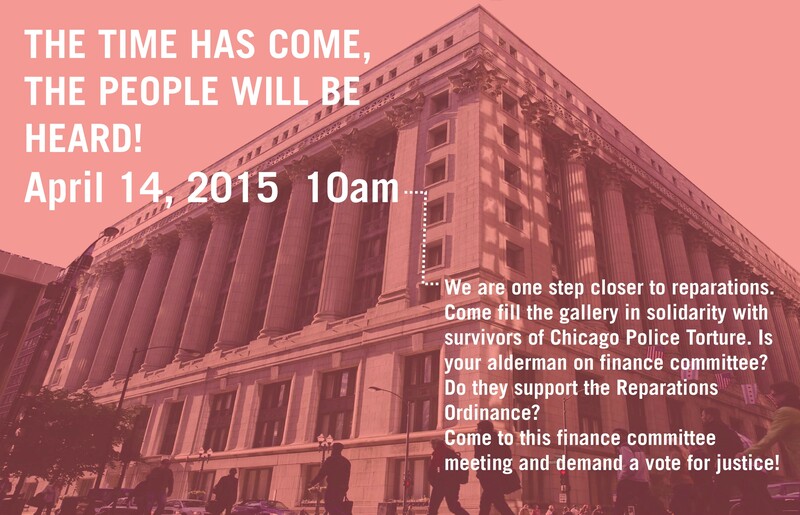 Let’s show a strong show of support as we urge the City Council to vote to approve the reparations ordinance. 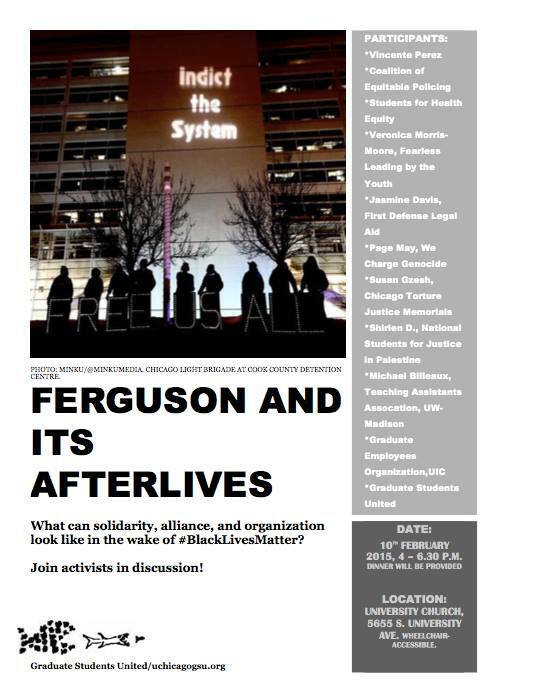 May 9, 1:30 pm — Safety Beyond Police: Creative Brainstorm Session — at Access Living, 115 W. Chicago Ave. 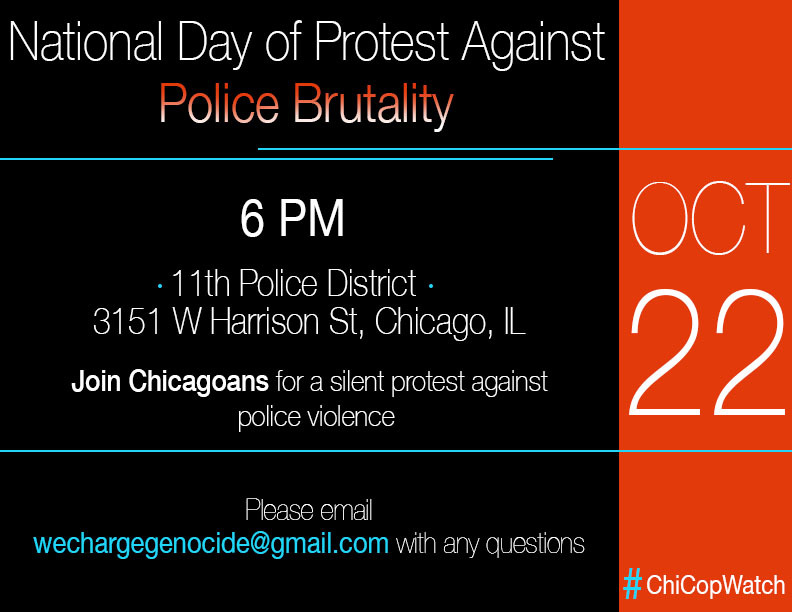 In July, We Charge Genocide, Project NIA and hopefully many more Chicagoans will kick off a ‘Safety Beyond Police’ consciousness-raising campaign. Our aim is to engage our various communities through messaging and discussion to consider more expansive ideas of safety. The campaign is in its infancy and we welcome contributions and ideas from anyone who is interested in developing the campaign. To begin, we invite all interested individuals to a creative brainstorming session where we will develop ideas around messaging for the campaign. We make a special appeal to artists, designers and others who can help us to imagine new ways to craft messages and to convey ideas. This year Moms United Against Violence and Incarceration invites individuals and groups to join us as we honor the many moms (and daughters and sons) inside Cook County Jail. We’ll gather near Division 17, which houses pregnant women and women struggling with addiction and mental illness. We insist that they never be forgotten behind those walls–on this or any other day. Julie Green, Professor of Art at Oregon State University, will present her project The Last Supper: 600 Plates Illustrating Final Meals of U.S. Death Row Inmates. 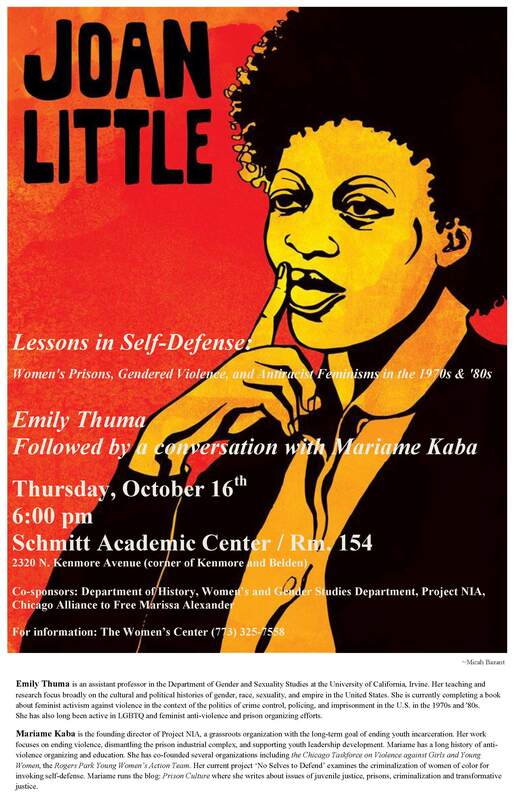 Following this talk, Green will be joined by Rob Owen, Clinical Professor of Law at Northwestern, and Elliot Reichert, Curator of Special Projects at the Block, to discuss issues of representation, the criminal justice system, and social justice. A reception at the Block will follow this conversation. This exhibition runs until August 9, 2015. May 14, 6 pm — What Assata Teaches About Black Lives Mattering: A Teach In — Depaul University, 2320 N. Kenmore – RSVP is REQUIRED here. Space is limited. We prioritize the participation of young organizers of color. Assata Shakur’s life and legacy have been invoked recently as young Black people resist police violence and criminalization. What, in fact, are some of the lessons that we can learn about our current historical moment by focusing on Assata’s life and her resistance? Join Project NIA and other local groups on May 14th for a teach-in about Assata’s resistance and its application to current Black Lives Matter organizing. Randall Dale Adams lived through a nightmare. In 1976, someone shot and killed Dallas police officer Robert Wood. In 1977, a Texas court convicted Mr. Adams of the crime and sentenced him to death. The Supreme Court took up his case, and in March 1985, Errol Morris arrived in Texas to work on a documentary about psychiatrist known as Dr. Death for his damning testimony. Adams’s case fascinated Morris, who at the time held down a day job as a private detective. Applying those investigative skills, Morris crafted The Thin Blue Line. The movie stirred an outcry about the case and launched Morris’s career. In 1989, the Texas justice system released Adams from prison. Adams died in quiet obscurity in 2010, the New York Times reporting his death some eight months after it had occurred. 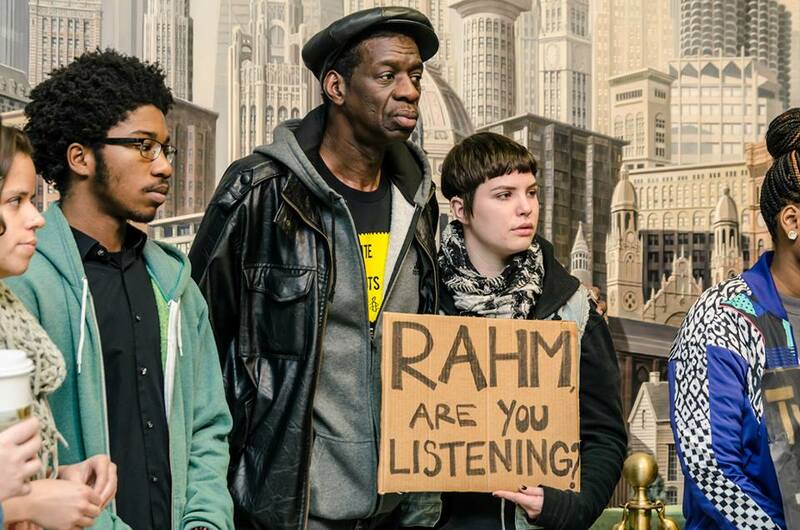 May 16, Noon to 6 pm — Creative Practices for Envisioning a World without Police — at HI Chicago Youth Hostel, 24 East Congress Parkway – Space is limited. Registration is required here. Using science fiction and exploring emergent strategies such as adaptation and resilience, we will work together to generate community based practices for resolving conflict and addressing interpersonal violence without unjust police systems. We’ll start the day by creating a science fictional Chicago in which to explore alternatives to policing, and then explore lessons from the natural world through the science of emergence to see what practices the community can generate to create more possibilities for a just future. 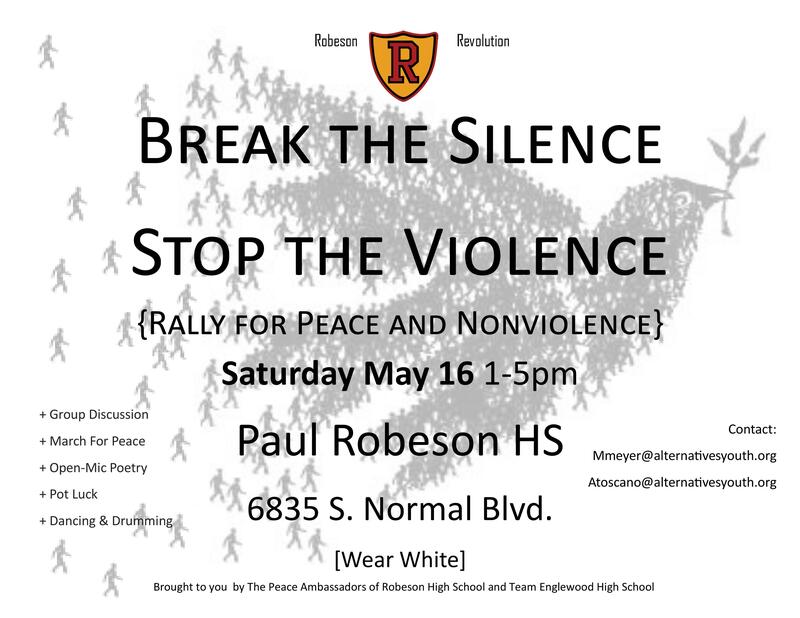 May 16, 1 to 5 pm — Robeson High School Peace Rally. 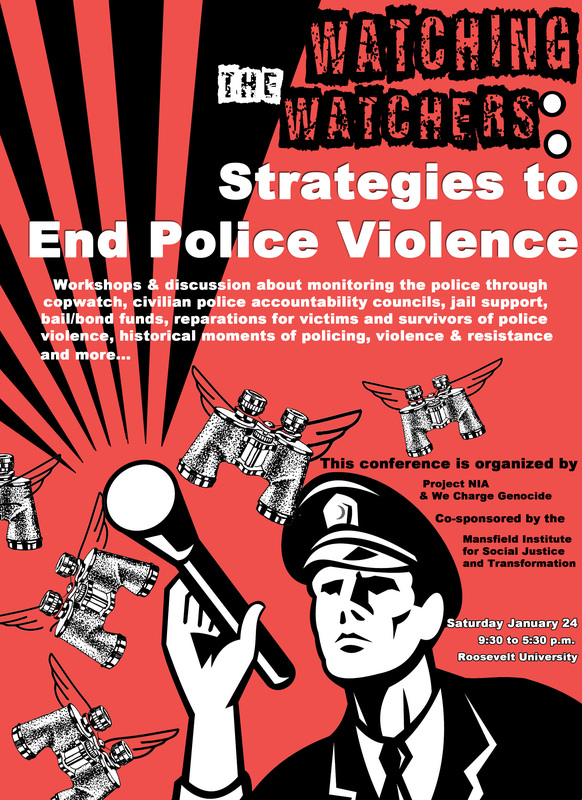 Please join Charlene Carruthers, Ethan Viets-VanLear, and Ahmed Hamad as they discuss the connections between struggles against police and military repression, mass incarceration and juvenile detention by communities of color in the US and Palestine. May 18, 8:30-4:30 pm — Schhool to Prison or Cradle to Career: Imagining a Different Pipeline, Philip H. Corboy Law Center, 25 E. Pearson Street, 10th Floor. You must register here. Why not a “ cradle to career” instead of “school to prison” pipeline? 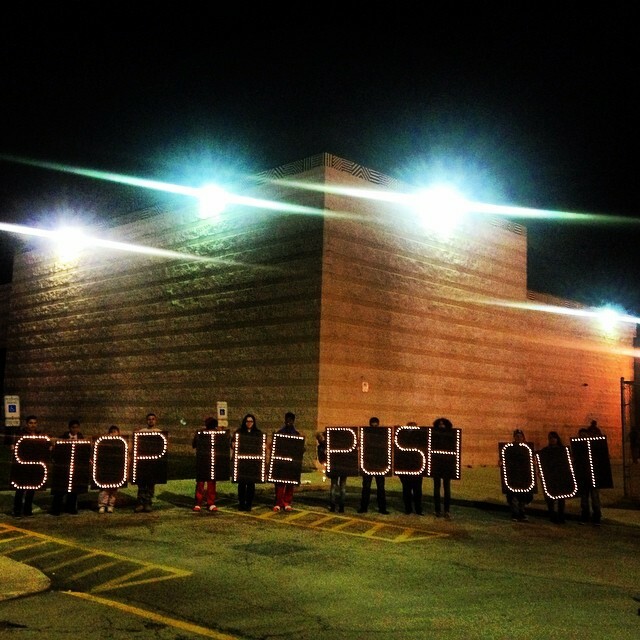 What is the school to prison pipeline and how and why did it evolve? 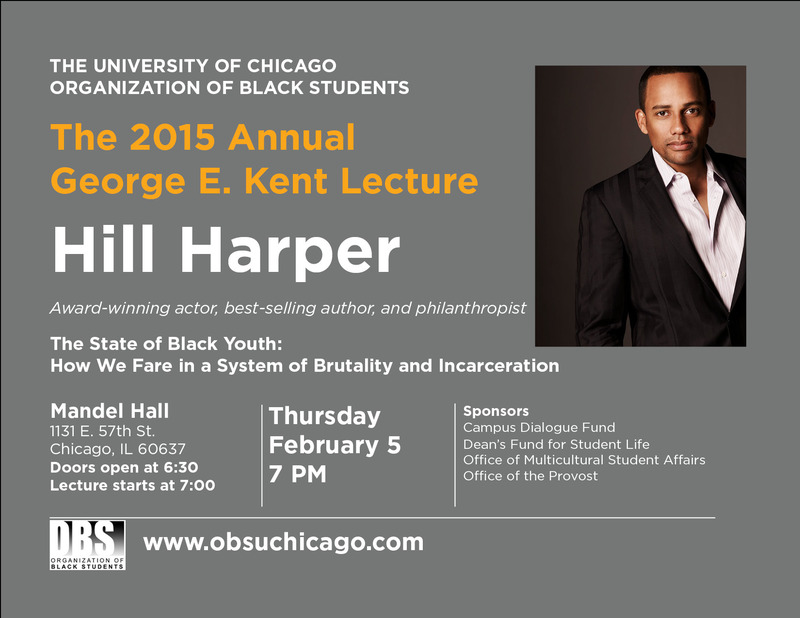 What has the impact been in Chicago on childhood, children’s futures, and communities? To what extent is implicit bias at work? What can we do differently to confront the challenges faced in the schools by children, their families, and our communities? This one-day multidisciplinary program will explore current responses and new directions for lawyers, social workers, educators, law enforcement, psychologists, and child advocates to better serve children in our communities and our schools and move us toward a cradle to career pipeline. 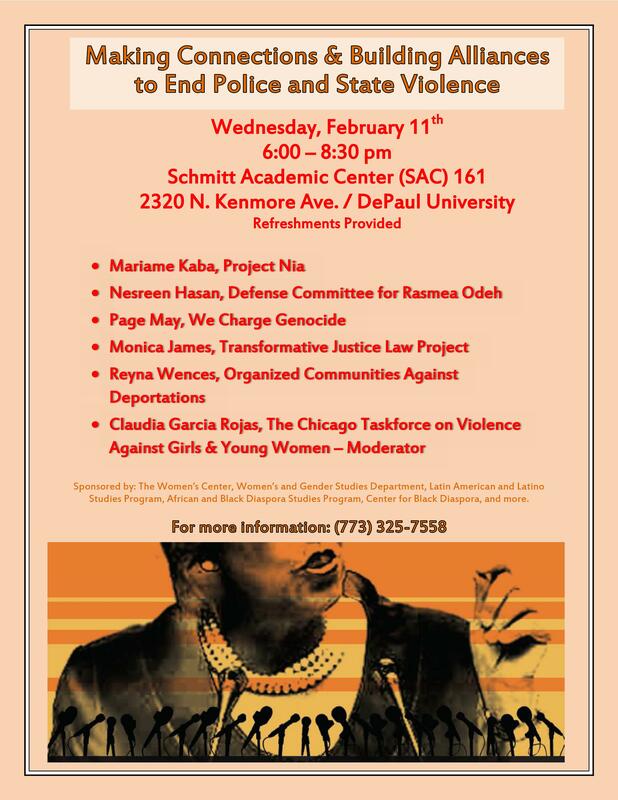 This forum will bring together system stakeholders and community based partners to engage in a dialogue that promotes the agreed upon “Commitment to Improvement in the Juvenile Justice System in Cook County” document. We will aim to elevate partnerships and collaboration between community and systems stakeholders that will lead to better outcomes for our youth. In partnership with the Center for Capital Defense and the Center on Wrongful Convictions at Northwestern University School of Law, the Block will host a series of acts exploring various perspectives on capital punishment—an exhibition overview by Block Curator of Special Projects, Elliot Reichert, followed by a capital case closing argument enacted by a death penalty defense attorney, a conversation with a former prisoner exonerated from death row, and insights from a family member of a homicide victim. 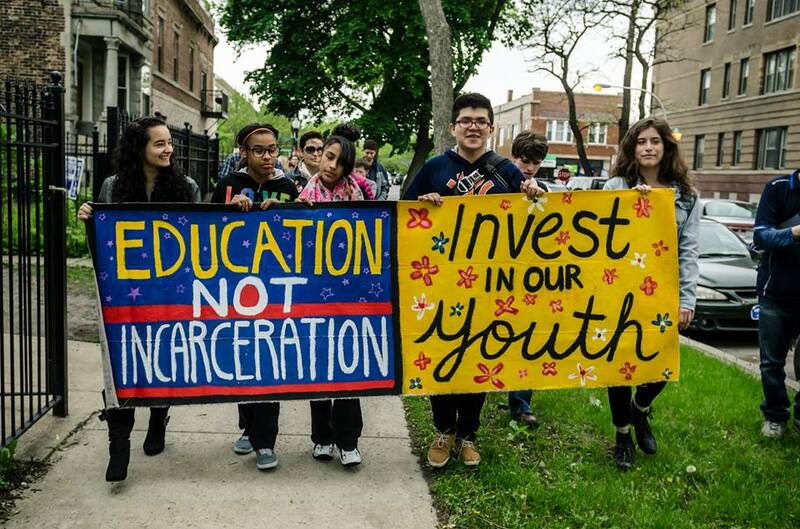 May 21, 5:30 to 7:30 pm — Sending Kites: Letters & Poems to Incarcerated Children (National Week of Action against Incarcerating Youth) — Hull House Museum (Dining Room), 800 S. Halsted St.
As part of the National Week of Action Against Incarcerating Youth (http://savethekidsgroup.org/2015noyouthinprison/), please join us on May 21st from 5:30 to 7:30 for an interactive session focused on incarcerated children. 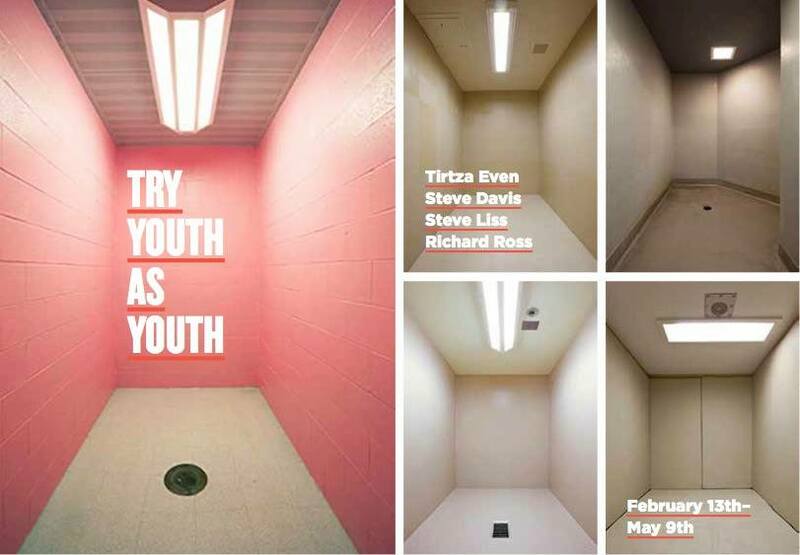 With support from writer, artist and educator Bobby Biedrzycki, participants will collaborate to write letters, poems, prose to incarcerated children. 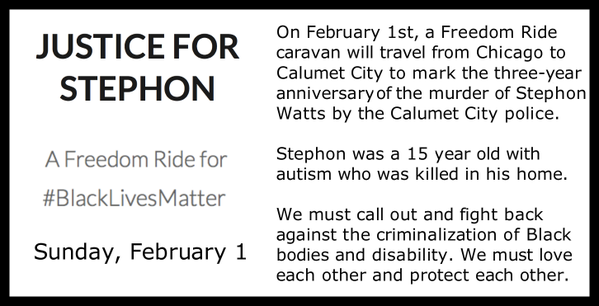 All items will be included into a zine that will be mailed to children incarcerated in Illinois youth prisons as part of Liberation Library. This is an all-ages event with a special invitation to young people to attend. Before making his splash in Hollywood, 26-year-old Chicago-born director William Friedkin made a short documentary about Paul Crump (at that point the youngest death row inmate in Illinois history) to be shown on television the night of his execution. The film depicted the alleged torture by the police that Crump endured. 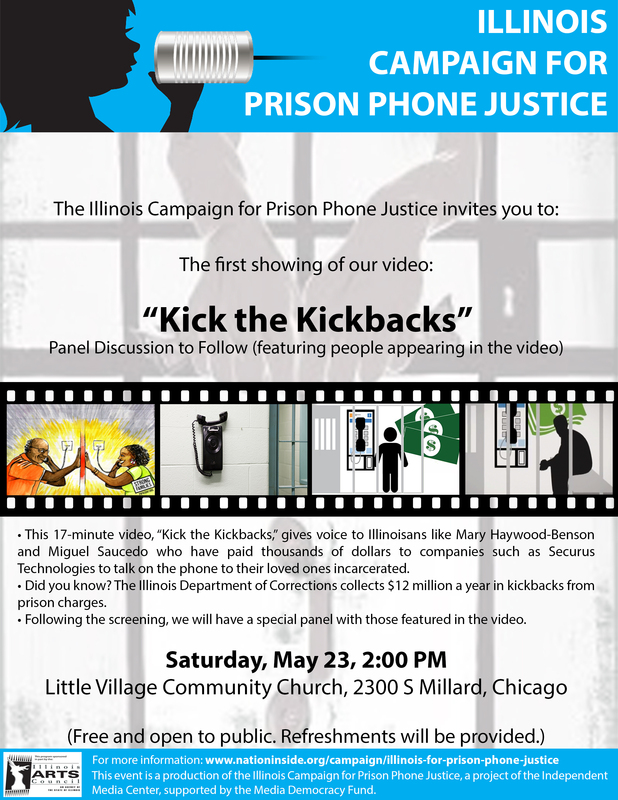 The People vs. Paul Crump was not publicly screened, but Friedkin expeditiously showed it to the Illinois governor who commuted Crump’s sentence. The documentary’s use of reenactment anticipates Errol Morris’s famous use in the similarly themed The Thin Blue Line (screening May 15). As we honor the servicemen and women who have lost their lives in the many wars this country has waged, remember that there is no plot in Arlington Cemetery for the lives lost in the war waged on Black lives – a war that has been disguised as the “war on drugs,” the “war or crime,” the “war on gangs,” a war fought in America’s city streets, in its classrooms, detentions centers, its playgrounds and parks. 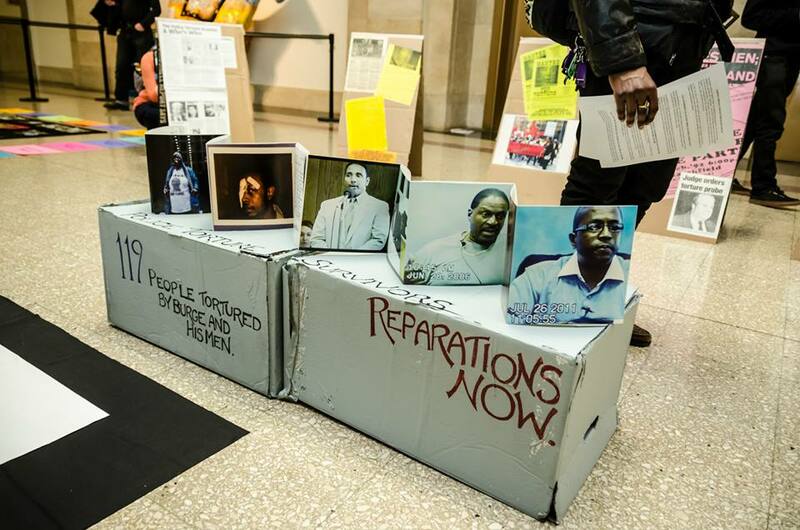 Black Americans are dying in a centuries-old battle that we didn’t sign for, and this Memorial Day, we honor our deaths and celebrate our lives. 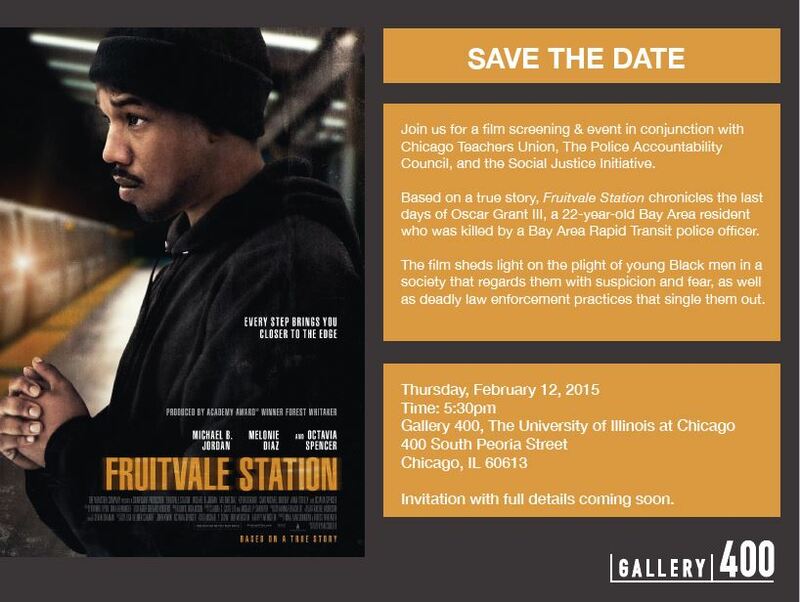 Join the #LetUsBreathe Collective in Remembering Rekia and all who have fallen in the war on Black lives. 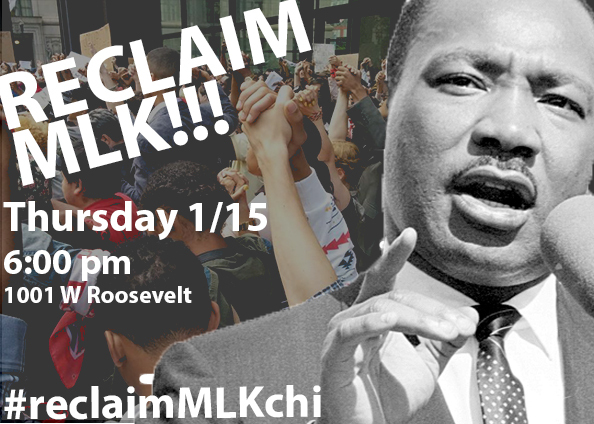 We will meet in Douglas Park, where Officer Dante Servin confronted Rekia Boyd and murdered her with impunity. We will lift up her name and the names of all Black women and girls, trans and queer lives, men, boys, and veterans and build them an altar. Then we will celebrate our ancestors and that we are still breathing with a spoken word and music performance & picnic. Bring an object to add the memorial, your art, your heart, (some food to share!) and your love. A cell phone camera captures the death of Eric Garner. White men toting assault rifles film confrontations with police officers over their right to openly carry firearms. A video of a cop lip-synching to Taylor Swift goes viral. 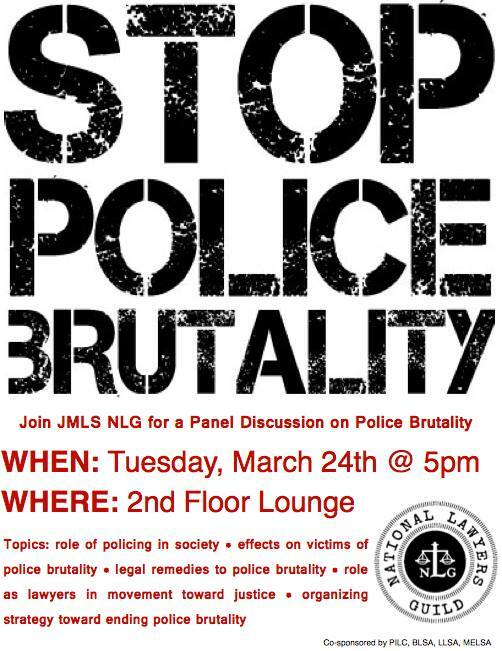 Join Will Schmenner, Block Cinema interim curator, and Harvey Young, Northwestern University associate professor, as they discuss the role and use of social media in creating a national conversation about race, law, and the limits of police power. How does civil resistance operate in the Internet era? Bresson loosely adapted this thriller from the memoirs of André Devigny, a French resistance fighter held in a German prison during World War II. One of the masterpieces of this unrivaled director, Bresson strikingly mixes the tedium of jail with the nail-biting suspense of the preparations for escape. At every turn, this darkly Catholic film wonders aloud whether the dumb luck also needed to attain freedom comes by chance or by the grace of God. This is perhaps the only film about death row that throws away all questions of guilt and asks, what does it mean to be saved from certain death? Please come join in celebration and community for one of our favorite evenings of the quarter, and BCEV’s last Dandelions of the academic year. Dandelions is an open event that welcomes students, faculty, community members, and their friends and families to create a space that cultivates a sense of transformation and healing for all bodies and people. 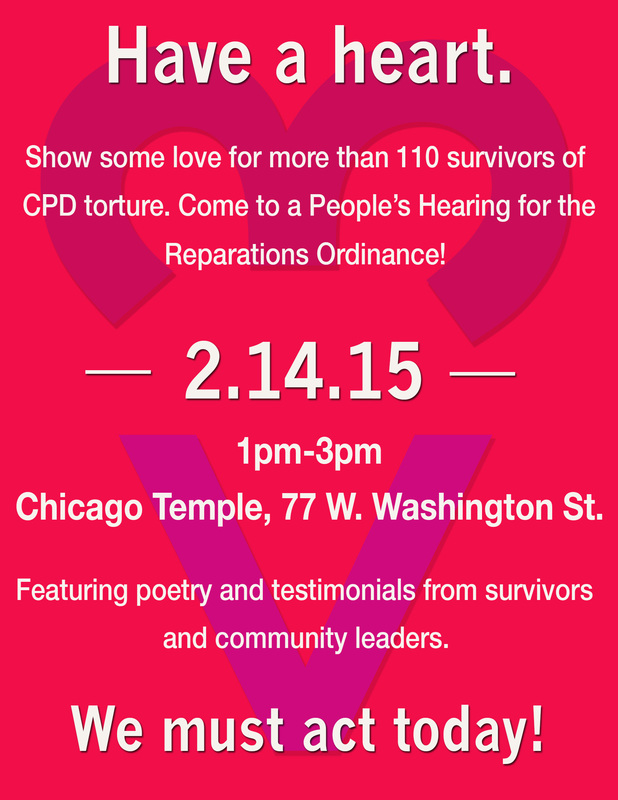 There will be arts and crafts, food, storytelling, self care practices, and creative performances. We also hold an open mic starting around 7 pm, and we’d love for you to bring something to perform or share with the community! 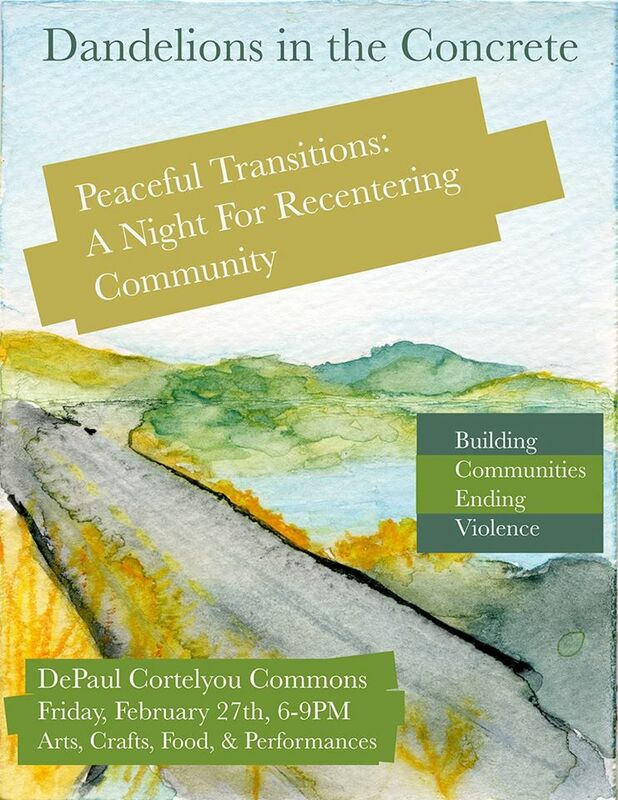 Dandelions is also a night dedicated to relationship building and practices of transformative justice within communities at DePaul and Chicago. AND, it is the perfect opportunity to meet new people.